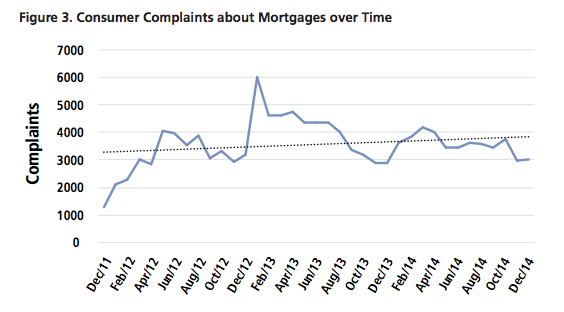 For the past four years, the Consumer Financial Protection Bureau’s Consumer Complaint Database has seen its fair share of consumer issues related to mortgages. In fact, complaints regarding loan modification, collection, foreclosure, loan servicing, payments and escrow accounts continue to be one of the biggest financial thorns in consumers’ sides. And the worst offender? Bank of America. 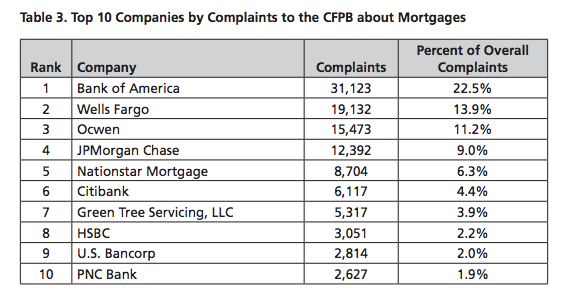 That’s according to a new report [PDF] from the U.S. PIRG Education Fund, which examined more than 138,000 mortgage-related complaints in the CFPB’s public complaint database. The report – the sixth in a series reviewing complaints made to the CFPB – looked at mortgage issues that occur when consumers are unable to pay, encounter difficulty making payments, applying for the loan, signing the agreement, receiving a credit offer and others. According to the report, the vast majority of mortgage complaints – about 85% – fall into two categories: problems when consumers are unable to pay (55%) and problems making payments (30%). That appears to be the case for a Virginia veteran who had been approved for a loan modification to avoid a foreclosure. Because he was given less than two weeks to turn in paperwork instead of the four weeks he was originally told, he was at increased risk for losing his home. 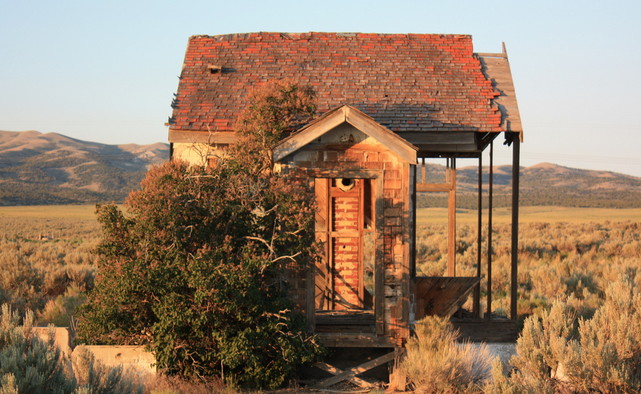 In all, just 10 companies account for 77% of all mortgage complaints to the CFPB. Topping that list is Bank of America, which has received 31,123 mortgage complaints in the database since 2011 – representing about 23% of all mortgage-related complaints. The financial institution was the most complained about company in 45 states and the District of Columbia. The second most complained about company was Wells Fargo, which had the most complaints in five states. While dealing with issues with their mortgages can be a frustrating experience for consumers, the report found that more than one in 10 consumers who reported mortgage issues to the CFPB receive relief, either monetary or non-monetary. One of the consumers who received relief was the aforementioned Virginia veteran. With its authority over both updated and new mortgage regulations, the CFPB has also taken enforcement actions against more than 40 companies, halting illegal activities and securing over $2.9 billion in relief and refunds for mortgage consumers, the report states. Still, PIRG suggests that the CFPB can do more to help consumers facing difficulty when dealing with their financial servicers, such as creating downloadable applications so individuals can share their stories via mobile phone and increase publicity for the complaint database process, bringing it to more consumers’ attention.